Resume Directions Resume Services is a New York Resume Writing firm preparing resumes, cover letters and LinkedIn Profiles for a wide range of jobs, careers and industries. A well-crafted resume is critical to capturing the interest of today’s employers. It maximizes response by expertly marketing your skills, achievements and other qualifications to demonstrate high value. It’s that promise of value that gets you the interview. Resume Directions Resume Services prepares resumes and cover letters for all job, employment and career fields. Our resume specialists have proven expertise in preparing resumes that secure job interviews. We create powerful content using the STAR (Situation-Tactic-Action-Result) and SAB (Situation-Action-Benefits) structures to successfully market your value proposition to employers. We organize experience, education, skills, achievements and accomplishments into powerful resume content that clearly demonstrates value in quantifiable terms. In addition, we insert industry keywords for optimum recognition by employers’ computer scanning systems. In addition to Resumes, Cover Letters and LinkedIn Profiles, we offer Job Interview Coaching. For pricing information, please call 212-380-7180. For your convenience, we accept MasterCard, VISA, American Express, Discover, eCHECKs and PayPal. 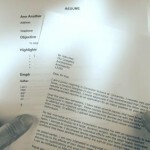 Professional Resume Writing Services. We provide Resume Writing in New York, New York City (NYC), New Jersey, Long Island, Manhattan, Newark, Bridgeport and Connecticut.